Celebrate the journey from hands of the maker to your home with the Crafters & Co Home Fragrance Products. 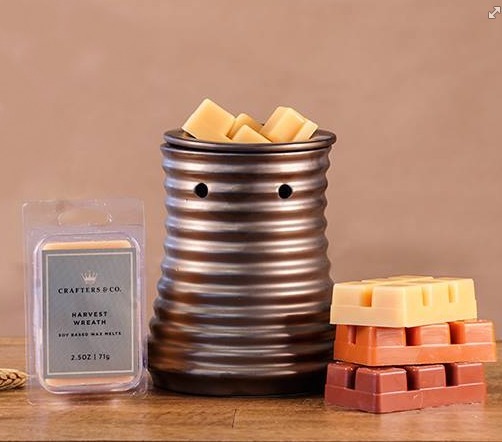 Crafters & Co. Candles, Fragrance Warmers, Outlet Warmers and Melts offer exceptional craftsmanship, a thoughtfully developed palette of colors designed to accent your home decor and fragrances blended to perform and surpass even the most demanding expectations. 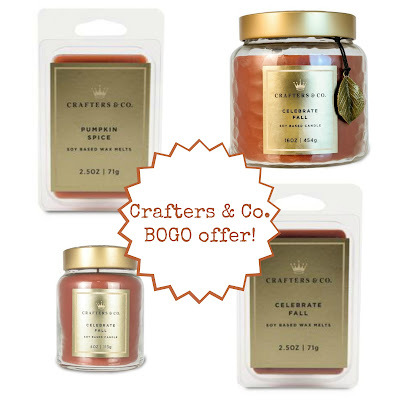 Crafters & Co., a Hallmark Gold Crown Exclusive Brand, delivers high quality candles and premium fragrance , they are a beautiful addition to your home! This Tabletop Wax Warmer is a wonderful and convenient way to experience fragrance – no matter the season. Just plug it in and add a few wax melt cubes. The wax is gently melted using a low wattage bulb. You can use 1-3 fragrance melts at a time in it! I have had a few ceramic wax warmers over the years, but nothing this nice as this one from Crafters & Co. This one is weathered bronze color and is stylish. I don't mind leaving it sit out on the table as it is so stylish! It is a safe and convenient way to experience some fall fragrance. 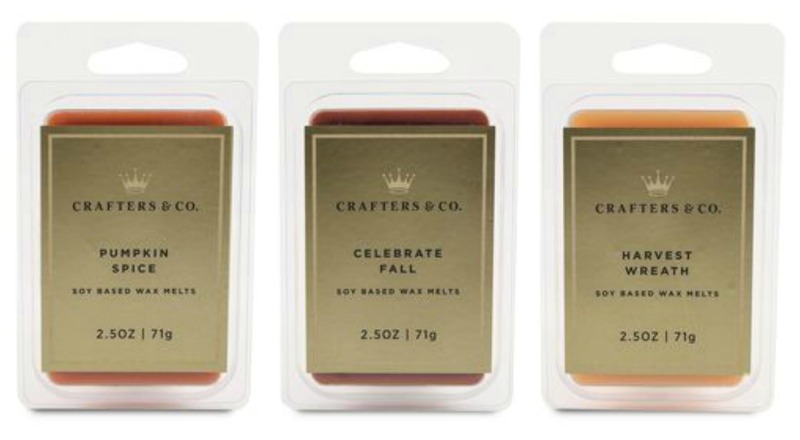 Crafters & Co. Fragrance Melts have 6 melts in each 2.5oz package. Not only are there these amazing fall scents in stores and online, but there is an entire line of some amazing melts from Crafters and Co. It is truly hard to decide on what one to melt! This 16 oz. 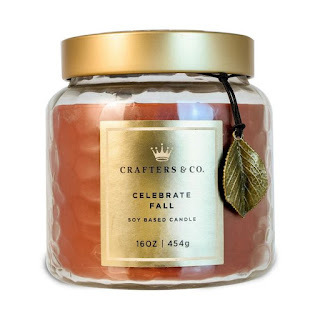 Jar Candle will help you and yours celebrate fall with the enticing aroma of a buttery pastry topped with ripe, freshly sliced apples, sweet brown sugar, cinnamon and rich caramel. Burn time of up to 55 hours. Available in a 4 oz. or 16 oz. sizes. All these fall scents bring forth the smells of fall...pumpkins, apples, cinnamon, vanilla, etc.. Once October hits, sometimes even in September, I like to get all my favorite fall scents out and get the house smelling all homey. 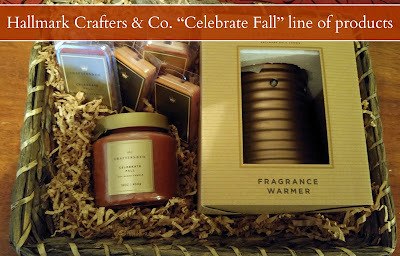 These fall Crafters & Co. melts and candles bring the wonderful season of fall to life. I am in love with the Celebrate Fall scent, it reminds me of homemade apple pies, apple picking, cool days wearing sweaters and playing in the leaves! Pumpkin Spice is perfect for those pumpkin fanatics. It instantly makes your home feel warm with the scent of pumpkin filling your house. It reminds me of when I bake pies at Thanksgiving, so warm and inviting! Crafters & Co. candles and melts offer long-lasting, vibrant scents that make your home feel like fall. Never purchased a Crafters & Co. candle or melt? Well now is the perfect time with this BOGO offer that starts next week! 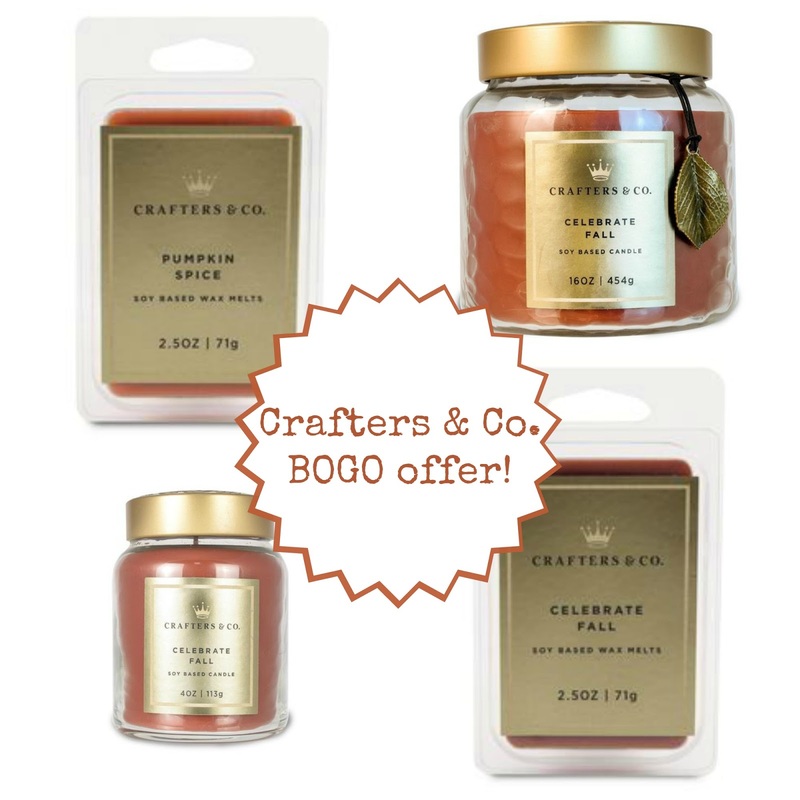 Crafters & Co. BOGO offer!